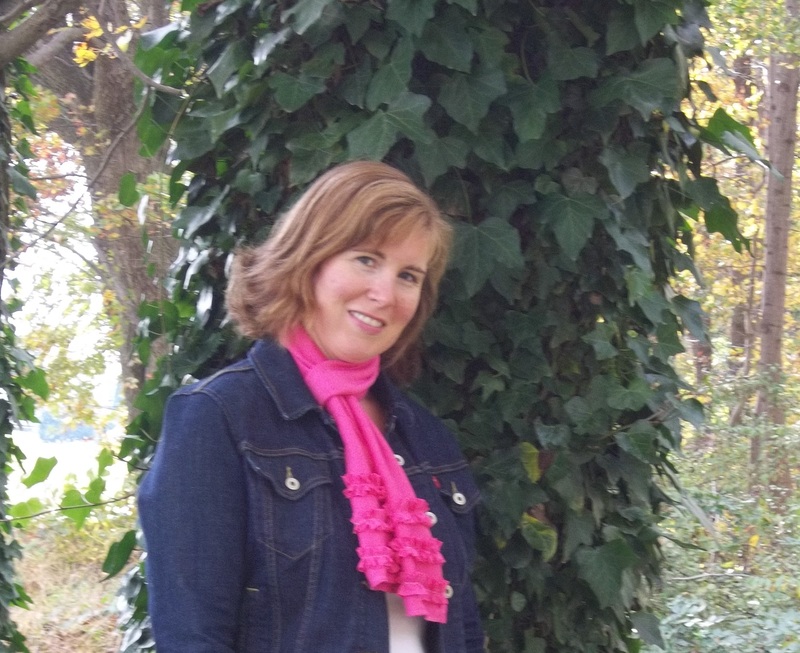 My pretty pink new scarf. I admittedly have a pink fetish. Those of you who know me can testify to this–I wear pink A LOT. 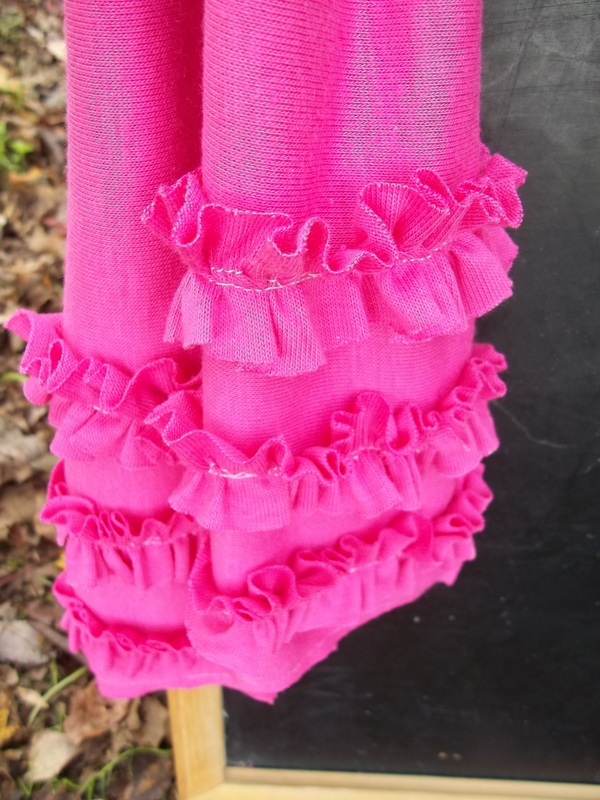 Even though I had made some infinity scarfs last month, I wanted to try out something with some feminine ruffles added in, preferably using some jersey knit fabric. 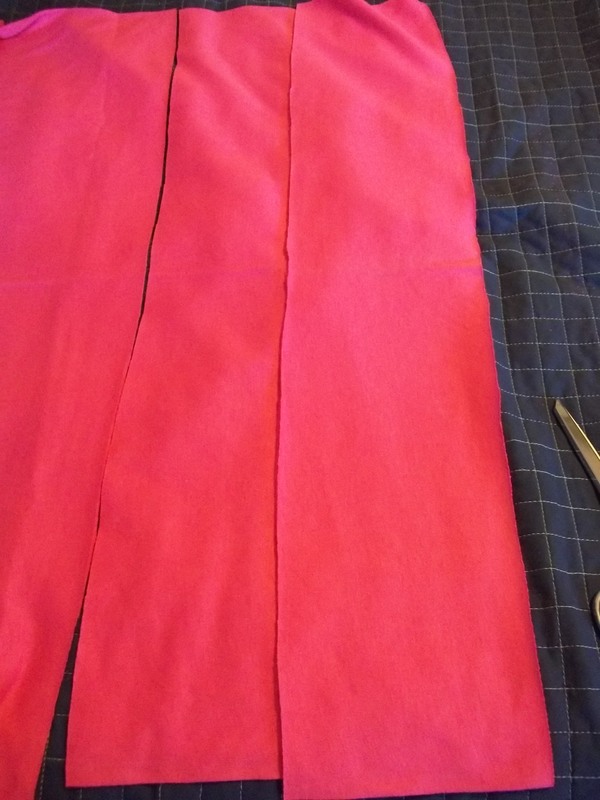 Cut long lengths of 1″ wide fabric–cut these lengths into 6-@15″ long strips. 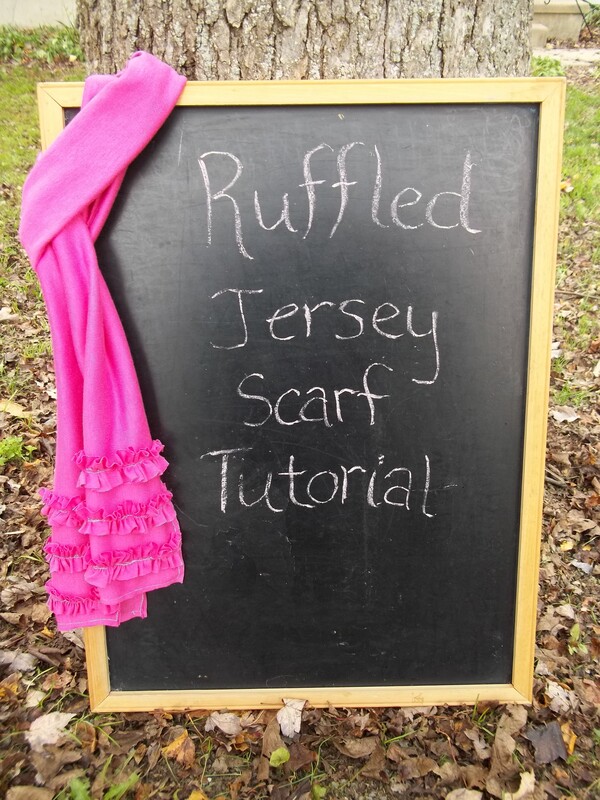 Using those 1″ wide strips, make a ruffle out of each one. 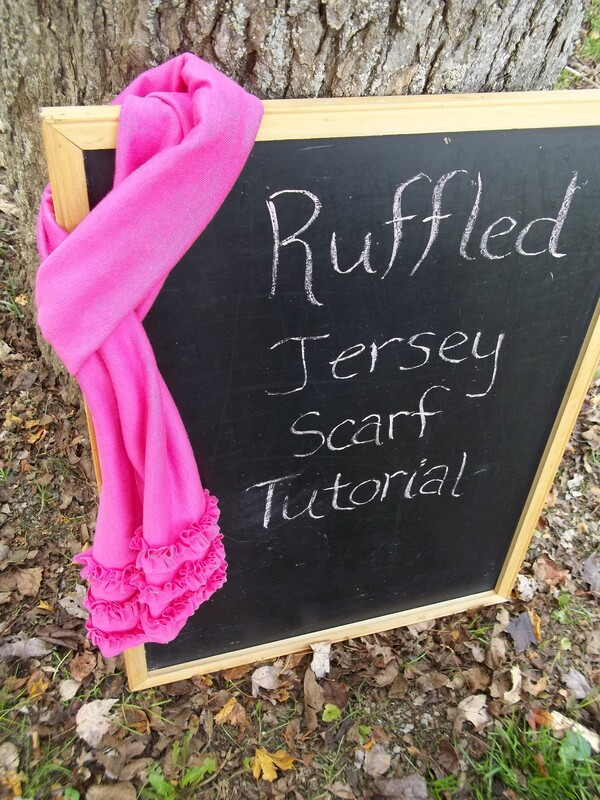 Don’t know how to make a ruffle? On a long stitch length setting, sew a straight stitch down the very middle of the strip without backstitching at all. 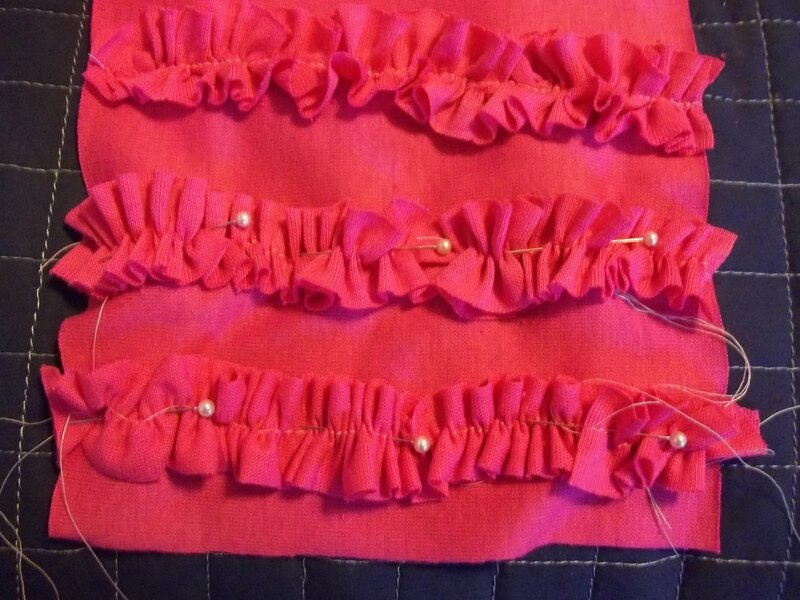 Pull on the bottom bobbin thread, making the strip ruffle up until it’s the desired length (in this case, 7″). Leave all threads hanging for now. The final step in making this is to pin the two large pieces together and sew along the entire perimeter, about 1/4″ from the edge. 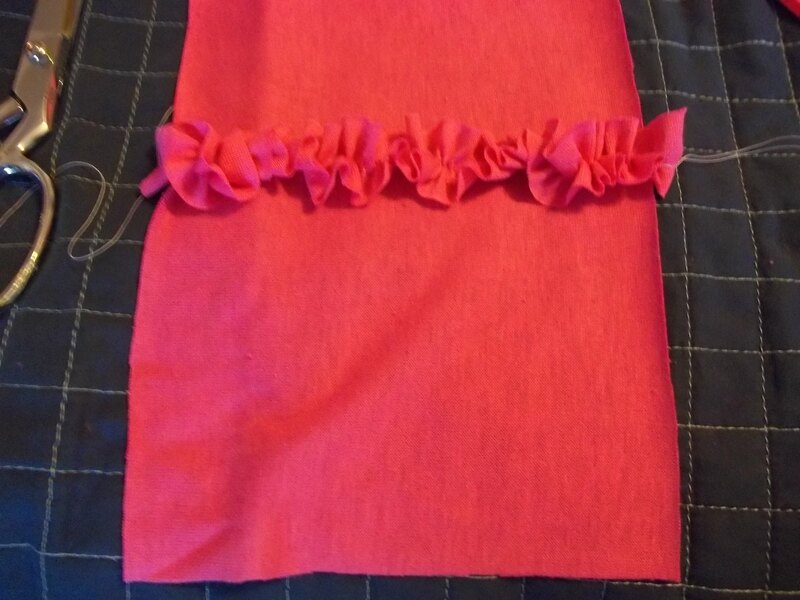 The beauty of this fabric is that it doesn’t fray, so those raw edges are supposed to be there! Now your scarf is ready to wear. My oldest child snapped this picture of me yesterday wearing my new creation. I thought I’d better step out from behind the camera once in a while! Did you sew the 2 long pieces right sides together around the sides then turn it right side out? How long was your finished scarf? Very cute! Nope, I sewed the two big pieces together right side out. Finished size is @7″ by 60″. I think I’ll try your tutorial when I find a bargain on knit fabric! Haven’t cared for the other tuts I’ve seen. Totally cute. I love the color. I love the scarf! And, the color! Adorable! Looks like this one would be a snap to make (but looks like a million bucks)! Very cute. I hope you’ll come link up to Make It Wear It! I love it! That is my favorite color and i feel pretty always everytime i wear something with touch of pink. Cool stuff! Your scarf is adorable! 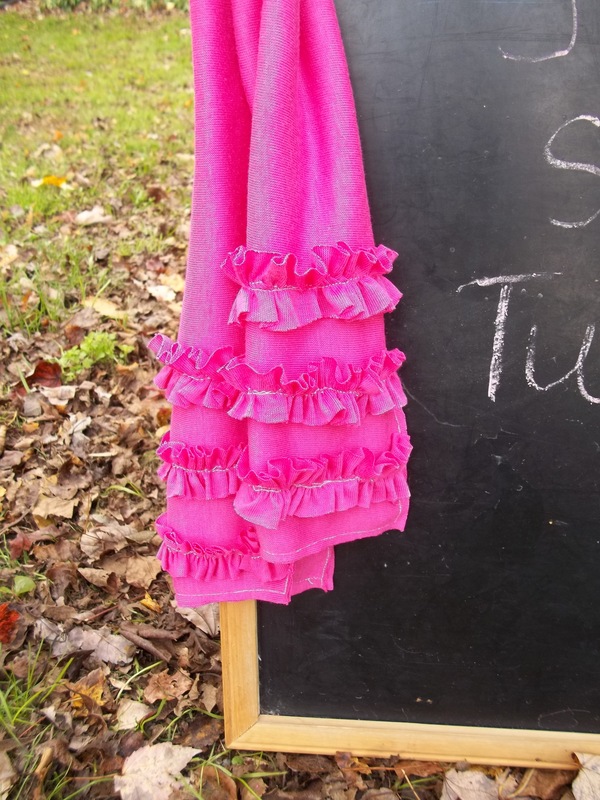 I love, love, love the ruffles on it! Adorable! I need to scout the goodwill for fabric! This is so cute! Now that it is cooler again the scarves are back out in droves! Thanks for sharing this! Super cute! I really need to get some scarves, or make a few. I love them, they add so much texture and dimension to an outfit. I would be delighted to have you stop by and link this up to my VIP party this weekend! http://designergarden.blogspot.com/2011/10/vip-party-34.html Have a safe and happy halloween! I love a good scarf, and this one is just perfect! The ruffles add the right amount of detail! Thanks for sharing this @ Show & Share! Happy to have you! 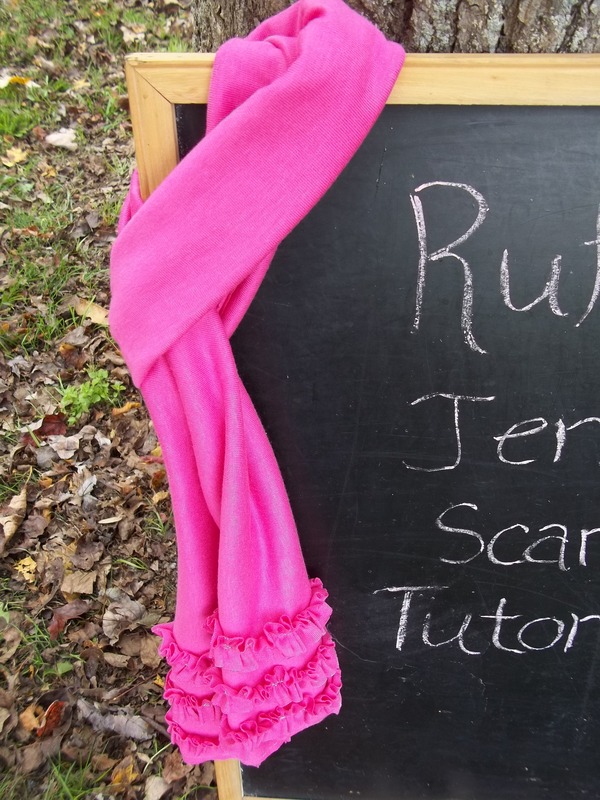 Fall is the perfect time for scarves & your tutorial is great! Thanks for linking up this week @ DearCreatives & have a great weekend!! LOVE the scarf! It’s being featured on scrappy saturdays this weekend!